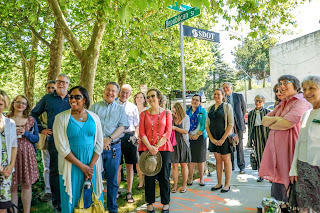 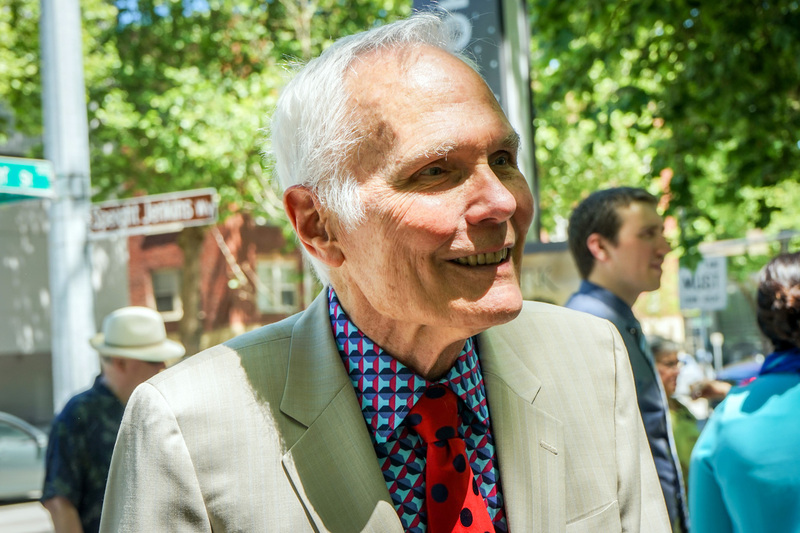 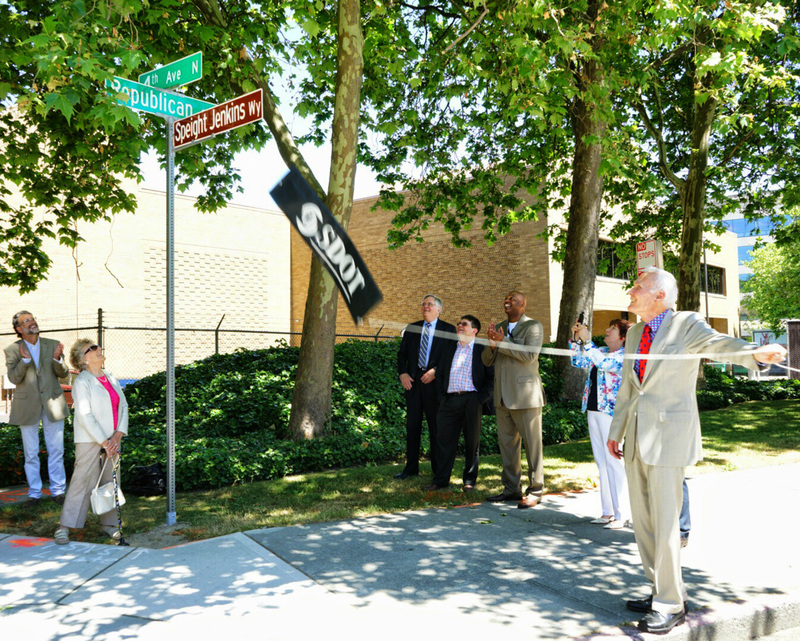 The City of Seattle recognized Speight, the beloved General Director of Seattle Opera from 1983 to 2014, by naming a street after him! 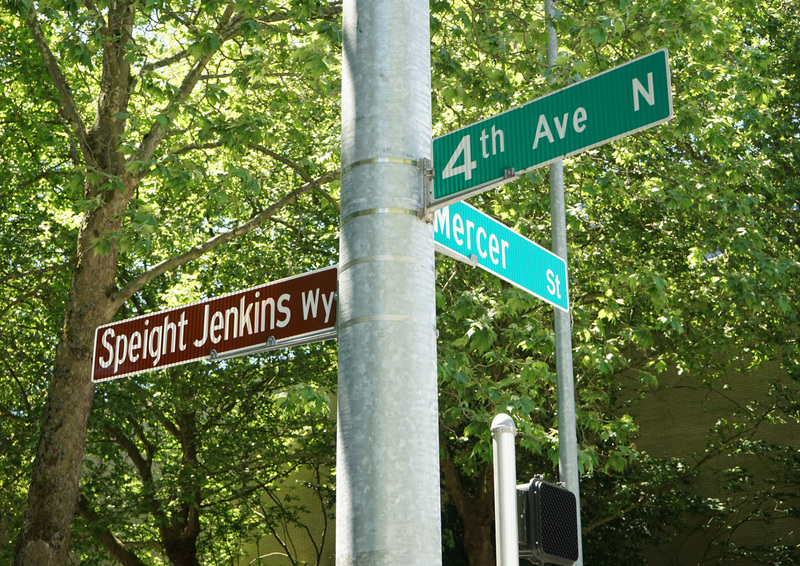 “Speight Jenkins Way” is a one-way northbound stretch of Fourth Avenue North, running between Republican Street and Mercer Street. 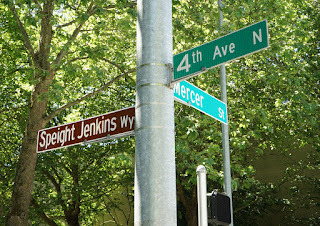 KCTS is on the east, and the Mercer Arena to the west. Street signs at both corners honor Jenkins, the visionary arts leader who helped Seattle Opera achieve international acclaim and played a guiding role in the creation of nearby McCaw Hall. 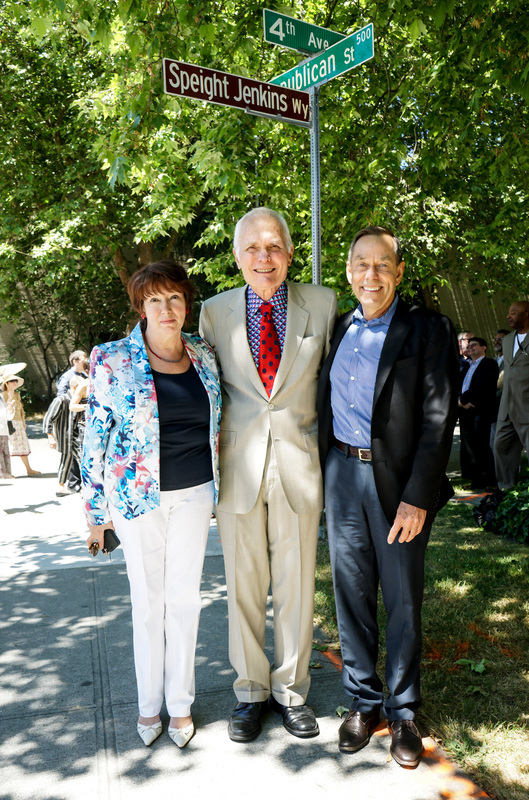 A legend in the world of opera, Speight retired last summer after three decades of devotion to Seattle Opera, where he presented more than 1,200 individual performances of 92 opera productions. Since then he has taught a class on opera at Stanford University, been made a Chevalier in the Order of Arts and Letters by the government of France, and won a Lifetime Achievement Award at the International Opera Awards in London. 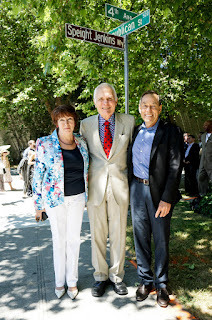 Seattle Opera audiences also caught a glimpse of him onstage at opening night of Ariadne auf Naxos, where he played the role of the wealthy host; the spotlight hit him as Zerbinetta came over to tease him during her big show-stopper aria! 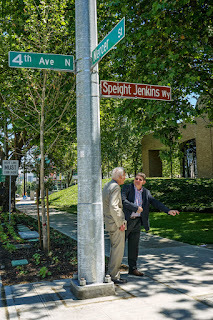 Speight Jenkins unveils the sign at the corner of Republican St. and Speight Jenkins Way. 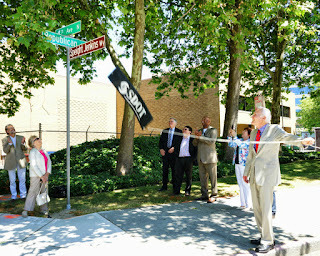 A cheering crowd of family, friends, opera-lovers, and former colleagues cheered the unveiling of the new signs.